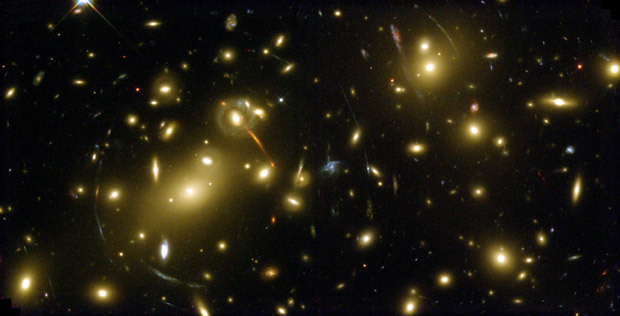 The term gravitational lensing describes the fact that the gravitational fields of massive objects (like galaxies and clusters of galaxies) bend the paths of photons as they propagate through the universe. On extra-galactic scales, even the filamentary structure of the cosmic web acts as a gravitational lens. A consequence is that the images of distant (i.e. high-redshift) galaxies we see are distorted from their original shapes. 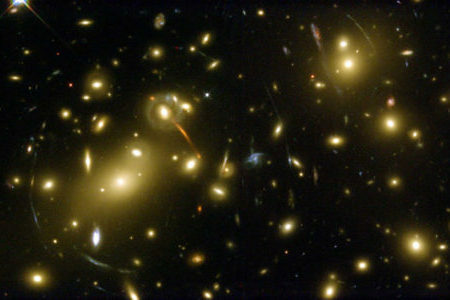 Except in rare cases where the lensing is strong enough to produce elongated arcs and/or multiple images, such distortions are very small and cannot be detected on individual galaxies. Only by averaging over a large number of galaxies can we detect a statistical signal--this is the regime of weak lensing. Weak-lensing analyses will play a key role in achieving the science goals of upcoming galaxy surveys like CFIS and Euclid. A successful weak-lensing pipeline depends crucially on accurate measurements of galaxy shapes. Our lab is also involved in developing techniques to correct for instrumental effects like the point spread function (PSF) in order to produce lensing catalogues. Illustration of lensing correlations induced by the cosmic web. Weak lensing allows us to map the structure of the universe, both the dark matter comprising the cosmic web as well as the luminous matter that traces it. The data consist of galaxy positions and their measured (lensed) shapes, which we can use to infer the mass that produced the lensing. Missing data due to masking out bright foreground stars and galaxies or CCD defects and gaps poses a significant challenge for weak-lensing mass mapping. In CosmoStat, we have developed advanced statistical and image processing techniques to cope with this ill-defined problem. 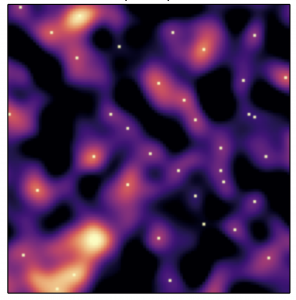 Mass map reconstructed using Glimpse on Dark Energy Survey Science Verification data. 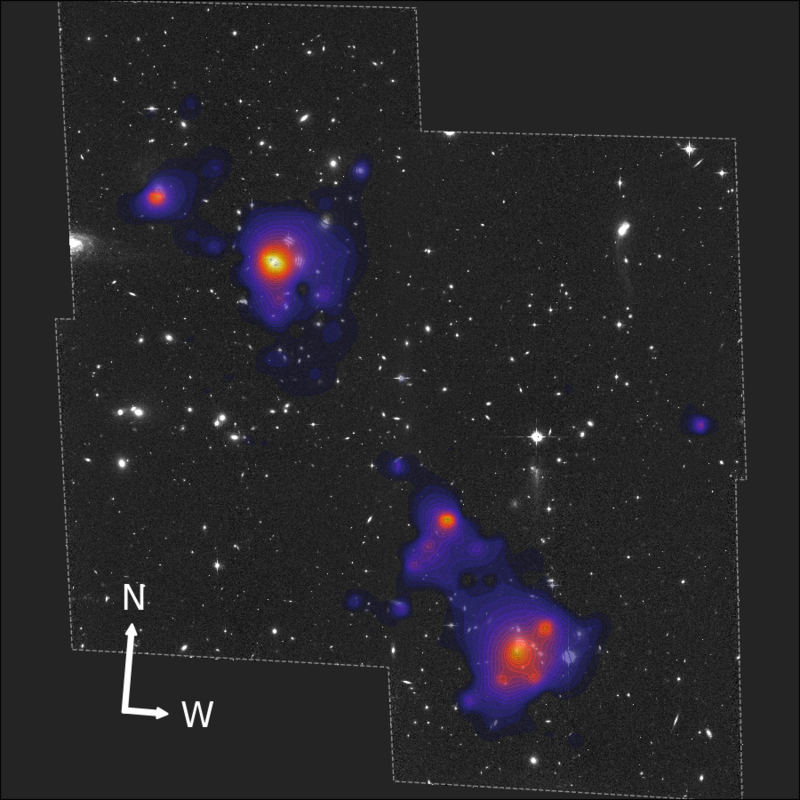 Matter distribution in the A520 galaxy cluster merger reconstructed with Glimpse. 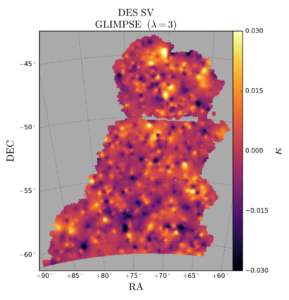 Glimpse is a mass-mapping technique developed in CosmoStat that uses a sparsity-based regularisation scheme to recover high-resolution convergence maps. The method has been tested on realistic simulations of galaxy clusters and also applied to real data in both small- and large-field contexts. 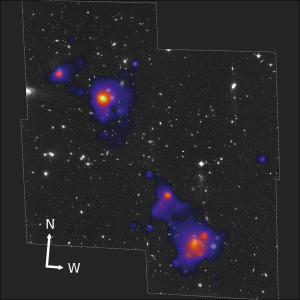 For example, Glimpse was used to reconstruct the mass distribution in the Abell 520 merging galaxy cluster system using Hubble Space Telescope observations. A mass map of the Dark Energy Survey (DES) Science Verification field has also been produced using Glimpse. Links to the Glimpse source code and more information can be found here. Different theories of gravity predict different properties of the observable universe, such as its structure formation history. The standard model of cosmology is based on general relativity (GR), but other so-called modified gravity theories are being explored by the cosmology community as well. Statistics of mass maps provide us one way of testing such theories against data in order to better understand the nature of gravity in our universe. Research papers from our group in this domain can be found here and here. 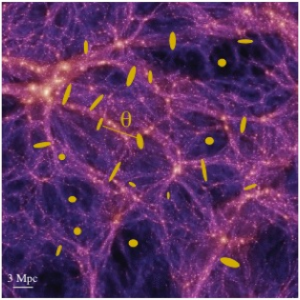 On small scales, the structures of the cosmic web are non-Gaussian. This information is not captured by traditional second-order statistics such as the weak-lensing two-point correlation function or power spectrum. Peaks in weak-lensing maps, defined as local maxima of the lensing convergence, are tracers of over-dense regions, and provide a means to extract higher-order, non-Gaussian information. We devised a new model for WL peaks, that was studied in a handful of publications. Weak-lensing peaks as maxima in the convergence map. Weak lensing is a powerful tool to constrain the model of our Universe, its expansion history, and the evolution of of the cosmic web. It allows to measure parameters of our cosmological model such as the total matter density, and the "clumpiness" of the cosmic web. This probe also is very promising to test theories the standard model of cosmology, and to measure properties of dark energy or to constrain the laws of gravity on very large scales. 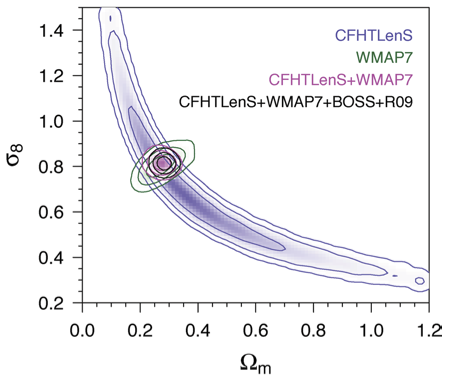 CosmoStat scientists have contributed to the cosmological analysis of many large wide-field optical surveys, including CFHTLS, COSMOS, CFHTLenS, DES. 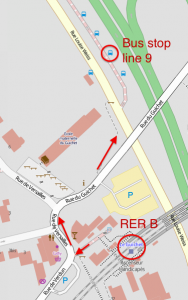 We are strongly involved in upcoming very large surveys such as CFIS and Euclid.